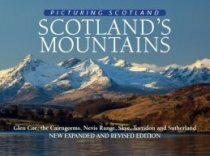 In the very north of Britain, far from the bustling cities and picturesque countryside to the south, lies Western Europe's greatest wilderness: the Scottish Highlands. 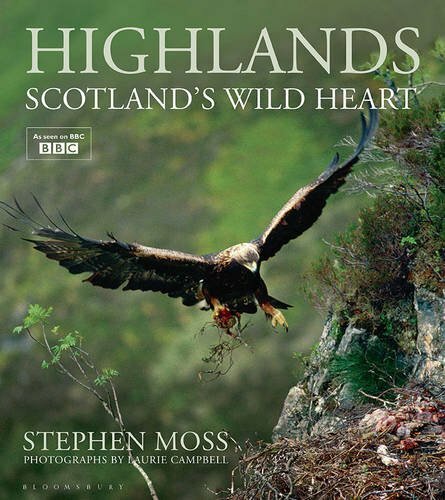 This is a land shaped by ancient ice, where snow-capped mountains tower over ink-black lochs, Golden Eagles soar over heather-clad moors, and Red Deer stags engage in mortal combat for the right to win a mate. Sea cliffs and offshore islands teem with millions of seabirds, while the seas themselves are home to Basking Sharks, Orcas and Bottlenose Dolphins. The Highlands can at times seem bleak and desolate, but they are also filled with secret wonders, from the ancient Caledonian pine forests to the vast Flow Country, and from the sheer granite cliffs of Handa to the mysterious depths of Loch Ness. 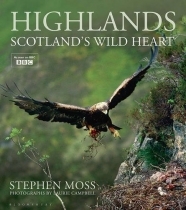 With thoughtful, authoritative text accompanied by spectacular, new photography, Highlands: Scotland's Wild Heart follows a year in the lives of a stellar cast of wild animals as they struggle to survive in this beautiful, yet unforgiving landscape.